If you’re a traveller who is constantly taking care of your health, no matter where you’re located, then you know the importance of physical activity. It’s effortless to give up training routine and lead an unhealthy lifestyle, but that way you can’t count on a long-term travelling. Long-term travellers should take a close attention to their health and forming of healthy habits as it will be hard to explore the world if your health is lacking. The major problem of leading unhealthy life and travelling is the lack of energy levels. It’s simply impossible to expect an amazing travelling experience if your energy levels are at all-time low. To ensure high-energy levels, you must be active and eat healthy. What could be a better activity for a passionate traveller than exploring hiking trails and wondering the breathtaking views? In this article, we will share the hikes around the world that provide you with breathtaking views. Although not the easiest one, this hiking trail will require a solid fitness level if you want to finish it promptly. It’s literally impossible for us not to put this trail at the top of the list as it offers stunning views of nature and Inca ruins once you get to the top. The main hiking trail is 33 kilometres long and it lasts for around 4 days. It’s worth the hustle as at the end of this trail; you will encounter one of the World Wonders called Machu Picchu. Many alternative trails last only a few hours, so if you’re not too adventurous, you can still take these trails. Incas, the ancient civilization built their temples in the mountains, so the whole trail offers amazing scenery. 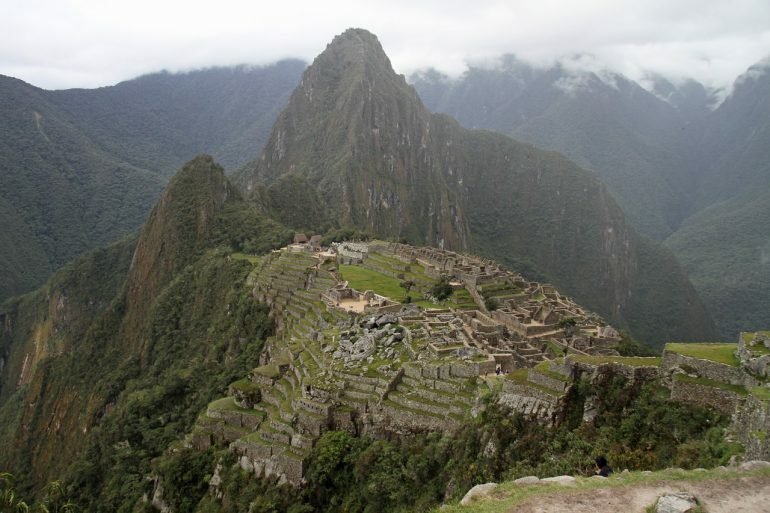 Once you get to the top, you will be able to overlook Machu Picchu surrounded with mountains and clouds. Such an amazing experience! Be sure to book your trip few months before as it has limits regarding some people and you need to combine many different ways of transportation. This hiking trail is literally so easy that anyone can take it and finish it. The trail doesn’t require extraordinary fitness levels as you’ll walk through small elevation all the way. The total trail length is 12 kilometres and you can complete it in a few hours. The trail is famous by its amazing and stunning views along Western Italian Coast. You will pass through many small Italian towns that have a soul and interesting vibe where you can take a rest or try their traditional cuisine. The best way to start this hiking trail is to go to the village called Corniglia and the trail from there is marked so you shouldn’t have any problems reaching the final destination. What makes this hiking trail special is the fact that it’s located on a Western Coast of Italy that is one of the most amazing coasts in Europe. Sarek National Park is located in Sweden and it’s one of the most amazing places to take hiking trails as there are numerous trails available. People who love to hike can choose between literally hundreds of different trails that will provide them with breathtaking scenery of rivers, glaciers, mountains and nature life. The whole national park takes around 1200 square kilometres of untouched nature and when you combine it with the choice of different trails, you’ve got one of the most amazing hiking trails in the world. The national park is located in the northern part of Sweden, so you should be prepared to face freezing temperature with the even colder wind there. If you just started with physical training and you’re not confident enough to take more demanding hiking trails then Croagh Patrick is an ideal trail for you. 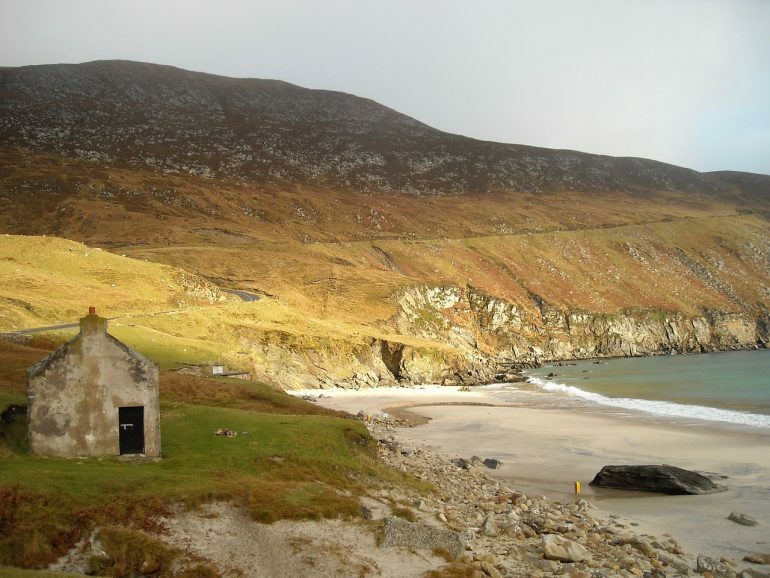 It’s located on Irish Coast and the whole length of a trail is around 4 kilometres. You won’t experience a big elevation, but the trail is rocky which means you need to be sure to have a durable footwear. It’s hard to explain the beauty you will encounter there as the place offers amazing coast along the way overlooking the ocean and tiny inhabited islands. The best time to take this hike is on a clear day after the noon as you will experience a breathtaking sunset along the way. The park is located in County Mayo Westport which is easily reachable from Dublin by train. 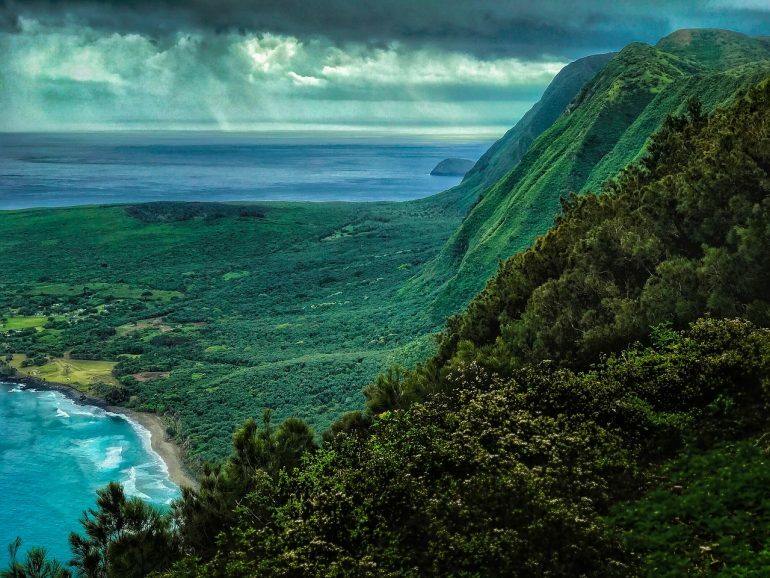 Muliwai trail is one of the most famous hiking trails in the world located in Hawaii. The trail is popular with many steps you need to pass to get to the ending point. It’s not the easiest trail, but it’s suitable for beginners in physical training. The whole trail is 28 kilometres long and you will see many natural beauties along the way. For instance, when you start a part of a trail that is filled with stairways, you will overlook other mountains around, tiny islands, small towns, black sand beaches and crystal-clear ocean. If you’re flying in Hawaii, the cheapest and easiest way to reach this trail is by taking the bus from Hilo Airport to Honoka city. 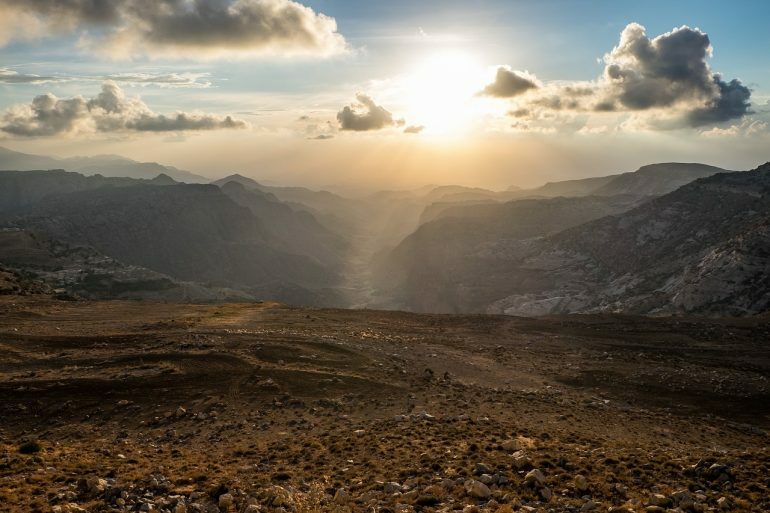 For travellers who’re looking for extraordinary experience, the Jordan trail is the perfect trail that will leave you with many stories to tell. The hike lasts for 7 days and it’s around 80 kilometres long. Maybe it doesn’t sound anything special, but did you know that you’re hiking through the desert all the time? The trip starts at small village Dana and ends in Petra that is offering stunning views from the cliffs. Through the trip, you will see many things including canyons, Bedouin trails, desert mountains, dunes while being surrounded with other adventurous souls. The trail itself isn’t that challenging as you won’t climb on tall mountains or elevations, but be prepared for extreme temperatures. Have you ever participated in any of these hikes? What’s the hiking trail you recommend? Excellent list of hikes and great pictures too. I would love to do the Croagh Patrick and drink Guinness later. Thanks for sharing Agness, these are a good adventure to be included in a bucket list. Glad to hear that! Thanks, March! Love that we can say we’ve crossed one of these off! Cinque Terre was a BEAUTIFUL hike. But the coastal path was closed for repairs, so we had to take the 1000x more difficult hike UP the entire mountain, and then it wraps around haha. But still, so worth it! The Inca Trail is definitely at the top of our list too. Ben really wants to do that one. I think we’ll make it a goal to check these all of some day though. Ben’s such a hiking enthusiast, it would be a fun accomplishment! I’ve hiked multiple trails in the Cinque Terre and only found the one from Manarola to Riomaggiore to be an easy stroll. The Italians think they’re easy because they do them all the time! ha. You do have to take care and be in shape to exercise, especially arduous hikes. I love hearing about new hikes! 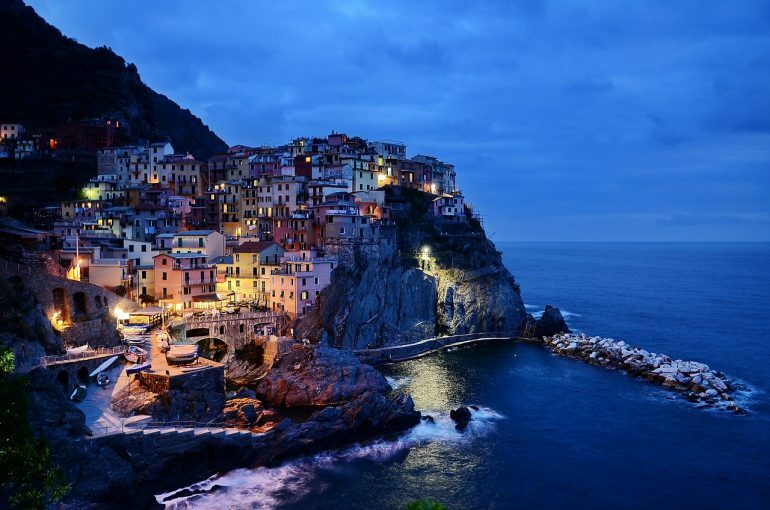 Cinque Terre is already on my bucket list!